Since I’m still here and feel like I’m on “borrowed time,” I’ve been trying to work on as many recipes as possible so that I don’t abandon you all when this baby does finally arrive. Last week I made a totally addictive batch of vegan & paleo blondies that I plan on taking to the hospital with me, and I can’t wait to share them with you! If you have any other recipe requests, make them now while I still have some free time– I’m terrified of being able to get anything else done while wrangling two kids! In the meantime, here’s a peek at what I’ve been eating this week. Snack: When my mind starts wondering at work, that usually means it’s snack time. I’ve been reaching for my new vegan & paleo almond butter blondies since I made them last weekend. Holy cow, they taste better than a cookie from Mrs. Fields! (If you like that sort of thing… which I do.) Recipe is coming up as soon as I have a chance to edit the photos. I think they are worth the wait! Lunch: I met up with my friend Kate (of Cookie and Kate) for lunch, and had the most delicious salad while catching up. My salad had a base of swiss chard, romaine, and kale, and was topped with roasted red peppers, golden beets, slivered almonds, goat cheese and a sunflower vinaigrette. I’m going to try to recreate this one at home, because I could eat it every day! Snack: After work, I’ve been testing recipes and finally perfected the gluten-free freezer waffles for my next book. I love having a big stash of them ready to pop in the toaster! Dinner: I made some speedy veggie burgers (recipe is also in the next book– they’re ready in 20 minutes!) and served them with some roasted broccoli for a super-easy dinner. After dinner, I’ve been trying to stay active to help prepare my body for labor. I’m bouncing and swiveling my hips on my big 75-inch ball while watching TV with Austin (we’re mildly obsessed with Bachelor in Paradise), and if I have more energy I’ll walk on our treadmill for 30 minutes. It’s quite a change from my first pregnancy where I was able to walk anywhere from 3 to 5 miles a day, but my free time has greatly decreased since then! I would like the Paleo chocolate chip cookies recipe (Vegan) I have tried them and they are the best cookies. Hi! I am in search of a buttery lemon and raspberry bar that is on a shortbread-like crust. I know that you could make this happen and make it taste better than the real thing which is probably shortening my lifespan by weeks per bar ingested. I would love for you to eventually invent this. Thank you for the links to the supplements you use! Will you continue to use the collagen and spirulina while breastfeeding? Since fall is approaching could you do a healthy caramel apple shake? Lifetime Cafe typically has one seasonally but I’d rather save money and make it myself. That sounds AMAZING. I’ll work on it! In the meantime, you might enjoy the Apple Pie Shake in my cookbook– it’s one of my favorites! If you’re a fan of tea, Celestial Seasonings makes a “Caramel Apple Dream” tea that is just amazing. It is like drinking a caramel apple. Could you explain why you use the collagen peptides and what exactly they do for the body? Clinical studies have shown that daily consumption of collagen can significantly improve skin elasticity and moisture, so I take the collagen while pregnant to help my skin stretch to accommodate my growing baby. 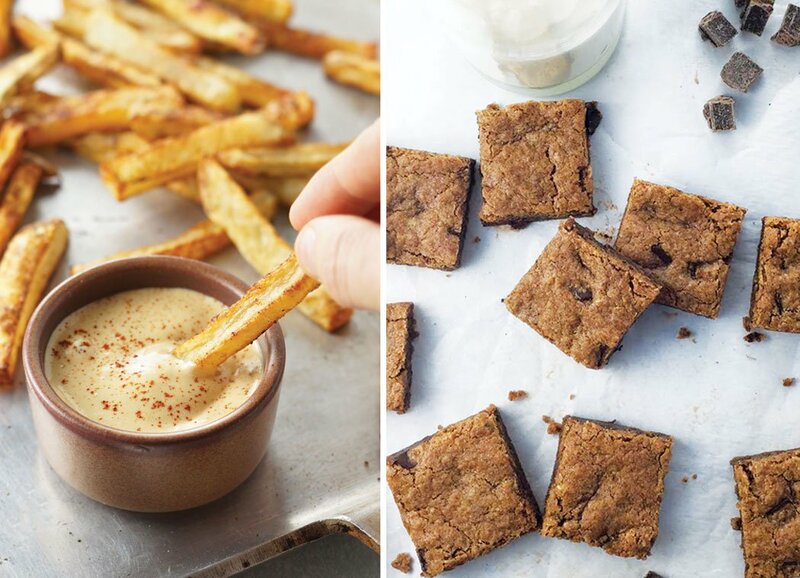 Love to see some histamine free recipes (vegan of course!). Salad dressing, mains, etc. Many thanks and all the best to you and your family. Hang in there girl! I have 4 kids and my 4th was 4 days after my due date. So hard when all is you hear is that your 2nd (or 3rd…) will come sooner 🙁 I feel your pain. You will be great with 2! Not gonna lie, going from 1 to 2 kids was the hardest transition of all our children and I was blindsided because no one told me how hard it would be! But also a very rewarding time too. As our pediatrician told us, when you have your 1st kid, you feel like a couple with a baby but after the 2nd kid you feel more like a family. Sounds like you are mentally prepared and I know you will be great!!! Good luck! 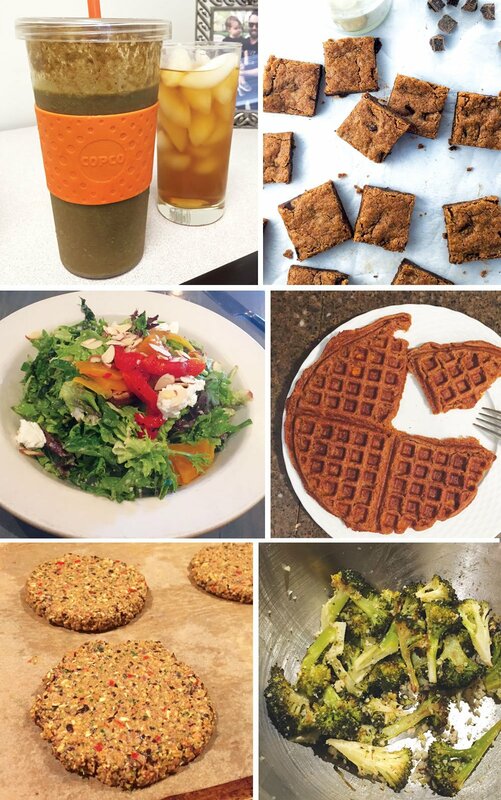 Thanks for all your recipes and taking the time to post updates this close to your delivery…it’s great to hear how you’re doing and see the new goodies you’ve been making in kitchen. 🙂 I have been craving cookies n cream ice cream for quite some time now and can’t seem to find a version with healthy ingredients. Not sure if you can come up with something for that..I’m sure it would be quite the challenge. However, I never doubt your ability to turn something unhealthy into something delicious and nutritious as I’ve seen you do it time and time again. :). Can’t wait for your new book! I’d love to see more allergy friendly recipes. My son has nut, egg, gluten, and milk allergies and we are struggling. Your recipes are so good. Please help! I also had allergies and met with my naturopath doctor and we did NAET testing and healing. I can say now that I am healed and no longer am restricted like I was before. What is NAET testing? And healing?